Today (19 March), the Supervisory Board of Cologne-Bonn Airport has unanimously appointed Johan Vanneste (57) as new chairman of the management. He will take on his new duty on 1 June latest, in case of earlier availability a month earlier, on 1 May. The Belgian national is a successful and internationally experienced manager in the aviation industry. 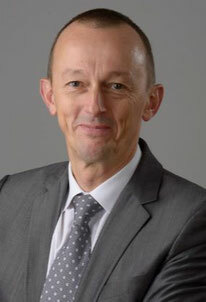 He held the position as President & Chief Executive Officer of Luxembourg Findel International Airport since 2014. Previously, he was in responsible executive positions at a number of cargo and passenger airlines and as a program and maintenance manager. Friedrich Merz, the Chairman of the Supervisory Board said on the occasion of the appointment: "We are pleased to have won with Mr. Vanneste a highly qualified new chairman of the management of our airport. There are pressing tasks waiting for him to be accomplished to secure the positive future development of the airport. We also expect him to implement a cultural change within the management level and between the management and the staff and enhance the communication with the public. We are confident that Johan Vanneste will live up to these expectations in every way." The new appointment at CGN’s top deck became necessary after Cologne-Bonn’s former Chief Michael Garvens had left the company following internal quarrels. Shanghai-based carriers China Air Cargo and China Eastern Airlines have inked a belly hold cargo contract which is meant to ensure that both carriers do not operate in direct completion to each other. The two Chinese airlines are subsidiaries of the China Eastern Air Holding Company (CEA Holding) which also has its headquarters in Shanghai. Once the new deal has been ratified, China Air Cargo will take charge of China Eastern’s cargo operations for belly hold cargo in the carrier’s passenger fleet. The agreement is said to run until the end of 2032 and China Eastern would then pay the actual operational costs for the handling to China Cargo Airlines. In return, it is said that China Cargo Airlines will pay China Eastern a so-called contractual fee which for 2019 will be restricted to almost US$ 633 million. China Eastern ceased their own all- freighter operations as of February 2017 by selling their share in the Eastern Logistics consortium to the CEA Holding. China Cargo Airlines now operates nine freighters, six of which are B777Fs and three B747-400Fs. A local rule beneficial to cargo operations at AMS will not be implemented by the start of the summer season on 1 April, sources in The Hague have revealed. Apparently the juridical review of the new regulation for its compatibility with the EU regulation is more time-consuming than expected. On top of that the completion and implementation of the rules have led to some delay. The independent slot coordinator at the airport has questioned the practical feasibility of the ruling, as the slot coordinator may not have sufficient staff to manage the complex system. The Ministry of Infrastructure however agreed to supply additional manpower. Insiders bet on an implementation of the rule by this summer. That would be quite comfortable in view of the winter season, in which the scarcity problem tends to be more prominent. Emirates SkyCargo has followed in AirBridgeCargo and Latam Cargo’s footsteps by announcing that they will also cease operations from Basel/Mulhouse Euroairport (BSL). SkyCargo has been operating from BSL since 2014. It has been confirmed by the carrier that the last flight out of Basel will be on 24th of March this year. 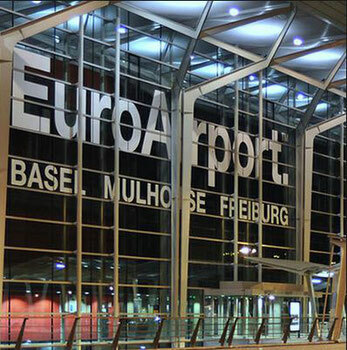 Until now the Dubai-based airline had been operated a once weekly freighter in to Basel. They recently started services into Maastricht, Netherlands and last year into Luxembourg. The carrier states that the decision to quit serving Basel is purely an operational one and part of their routine operational review of which freighter capacity can be best deployed to serve customer’s needs. Emirates Airlines continues to offer belly hold capacity to both Zurich and Geneva on their daily passenger services. Emirates SkyCargo has gained its first Cargo IQ certification after having joined the Group in 2016. 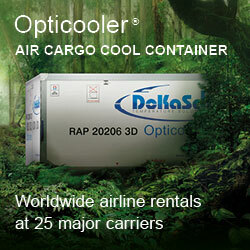 The certificate was handed over last week during this year’s World Cargo Symposium in Dallas, Texas. Cargo IQ’s external auditor, SGS, audited SkyCargo’s internal processes which included measures taken by the carrier to minimize and/or eliminate shipment errors and give clients better visibility on the status of their shipments. Zurich-headquartered airport ground handler Swissport has been recognised by Cathay Pacific Airlines (CX) as “Best Ground Handling Agent of the Year in Customer Services 2017.” This is the second year in a row that Swissport gained this prestigious award from CX. 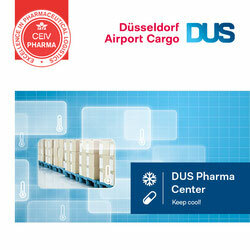 The handling agent also gained two more awards for their Zurich Airport performance. On top of the Best Ground Handling Agent award Swissport were also handed the Best European Airport Performance 2017 award for their Zurich operations and took the third place in the Airport of the Year 2017 awards. Swissport Zurich operates with so called “dedicated teams,” one of which is the Cathay Pacific Team which operates for CX based on specifications which are laid out by the Hong Kong-based carrier. The cargo arm of the Dutch-Franco airline, Air France-KLM-Martinair Cargo has rolled out what they see as a new software solution for their global cargo network and which is geared to the company’s digital transformation process. The carrier teamed up with the U.S.-based software company Accenture Freight and logistics Software (AFLS) to form a new platform which will drive customer excellence and quality in their quote-to-book process. It is claimed that the new software solution will integrate all of the commercial functions including Bookings, Offers, Ratings, Pricing, Capacity & Revenue Management, AWB control and Flight Planning throughout the AF-KL network. The carrier’s state that the new AFLS unified digital platform brings end-to-end commercial focus to revenue management processes and extends the value chain to the end user. The special speed logistics company time:matters which is based near Frankfurt Airport has extended their international network by offering a “Sameday Air Network to both the United States and Mexico. The someday service will now be on offer to fifteen stations within the U.S. and one in Mexico. This new international connection outside of Europe follows on the recently opened service to Tel Aviv. The U.S. and Mexico service offers more than 500 weekly direct connections with 21 partner airlines and a what time:matters terms as a stable standardized pricing formula. In the meantime time:matters offers someday services to more than 100 stations in Europe and Tel Aviv, served by over 20 airlines. The addition of the U.S. and Mexico brings that up to almost 120 stations. The Hungarian capital’s airport has come a long way from being a second-rate cargo airport. The air cargo volumes for 2017 rose in 2017 by almost 14% to reach 127,145 tonnes. This figure also represents an increase of just about 40% on cargo handled at the airport in 2015. The share of import and export cargo was almost on par, with exports holding 52.2% and imports 47.8%. The link between Budapest and China through the cooperation with STO Express and EKOL seems to have paid off and has brought better volumes into BUD. The giant Chinese express company, STO Express, had designated BUD as their preferred hub for air cargo. In this respect Budapest Airport is confident that they will benefit from the continuing e-commerce upswing. Figures for January and February show a total of 21,750 tonnes handled - an increase of 17.4% over the same period last year.